Sharon Horgan has urged women not to underestimate their own abilities in a podcast to promote the Women of Tomorrow awards. 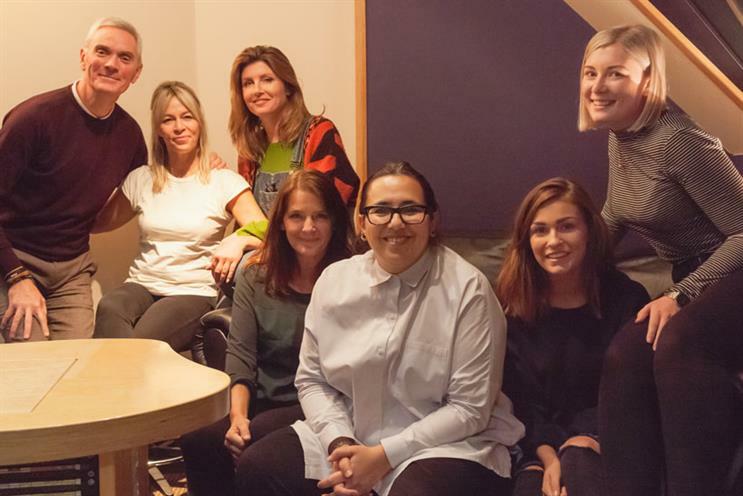 Sharon Horgan, the writer, actor, director and owner of Merman, has urged women not to be afraid to learn on the job and to understand that if you have a "voice and a vision" then that alone is enough to run with a creative idea. Sharing her advice to creative women starting out in their careers, she said: "I guess the advice is just be a pushy cow, don’t be afraid to learn on the job. Men aren’t afraid to do that." She pointed to the example of Ricky Gervais and Stephen Merchant, who directed, wrote and devised The Office, saying: "A woman in the same position would feel they need to go away and learn. "If you have a voice and a vision then that is enough; just run with it. Have the confidence to push yourself forward. The thing that held me back for so long was [the fact I was] lacking confidence," she added. "Our research showed that many women at the top of our industry were perceived as almost ‘superhuman’ by those coming up through the ranks"
Horgan was being interviewed by Chaka Sobhani, the chief creative officer of Leo Burnett London, in a podcast created by Engine as part of their campaign to promote the fourth Women of Tomorrow Awards. Commenting on the awards, which are co-created by Campaign and the IPA, Horgan said: "I’ve worked with so many brilliant women throughout my career, so it’s great to be a part of an initiative that celebrates the enormous wealth of female talent within the advertising and media industries." Jo Moore, creative director at WCRS which is part of Engine, added: "Our research showed that many women at the top of our industry were perceived as almost ‘superhuman’ by those coming up through the ranks. Sharon and Chaka are both brilliant, inspirational women at the top of their game. Through these podcasts we hope to show that they are also human and prove to other women in the industry that they too can reach the top." The Women of Tomorrow awards, now in their fourth year, champion female talent across agencies, media owners and clients. They are designed to tackle the under-representation of women in leadership positions in the advertising, media and communication industries. The IPA has set a target to bring female representation at a senior level to 40% by 2020 and the awards are one way in which the industry is championing female leaders. It is hoped that if women put themselves forward, or their colleagues recognise their leadership potential and nominate them, it will help their careers build momentum.